in the heart of Aberdeen. Relish all the flavours and character of the Granite City in this contemporary restaurant serving sumptuous steaks, seafood and a menu of discerning wines. 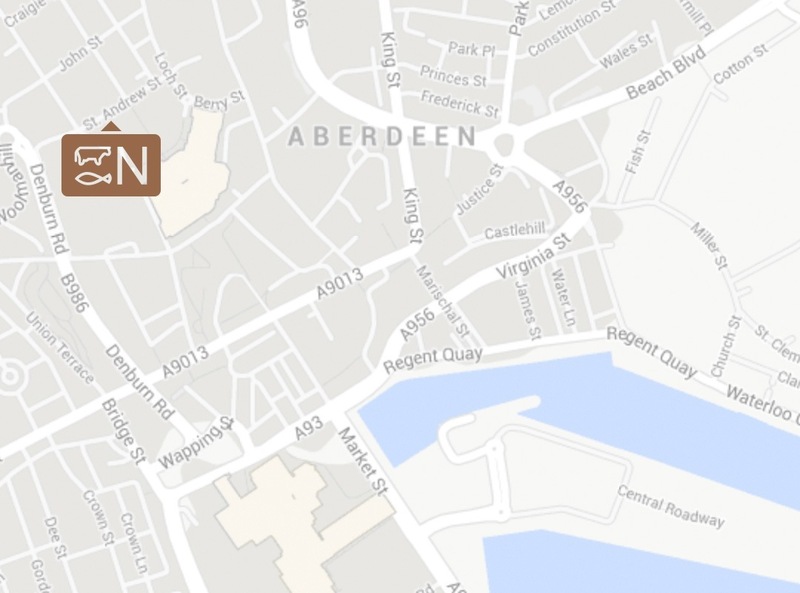 Located in the Hilton Garden Inn Aberdeen City Centre hotel, we welcome natives and visitors alike. Located within Hilton Garden Inn in Aberdeen City Centre, Native has gained a reputation as one of Aberdeen’s finest restaurants which showcases the very best of Scotland’s larder. By focusing on local produce and authentic Scottish techniques, elevated with international flavours and seasonal twists, the restaurant produces mouth-watering dishes of the highest quality and ingredients. Explore our menu of outstanding Scottish dishes featuring the finest seasonal ingredients, locally sourced meat and ocean-fresh seafood. Check out our wine menu for a range of exquisite old and new-world options. Celebrate birthdays and special events at Native. Treat your guests to an unforgettable party in our modern restaurant, which serves up fine dining favourites and delicious drinks. Call to book a table, or make an online reservation using the button below.